Better Listening. Better Understanding. Better Customer Solutions. Horton is recognized, worldwide, for one distinct quality that leads to many other customer benefits: collaborative solution development. It is why brand leaders in the on- and off-highway markets have come to Horton for over 65 years to solve the most challenging engine cooling needs. Horton listens. 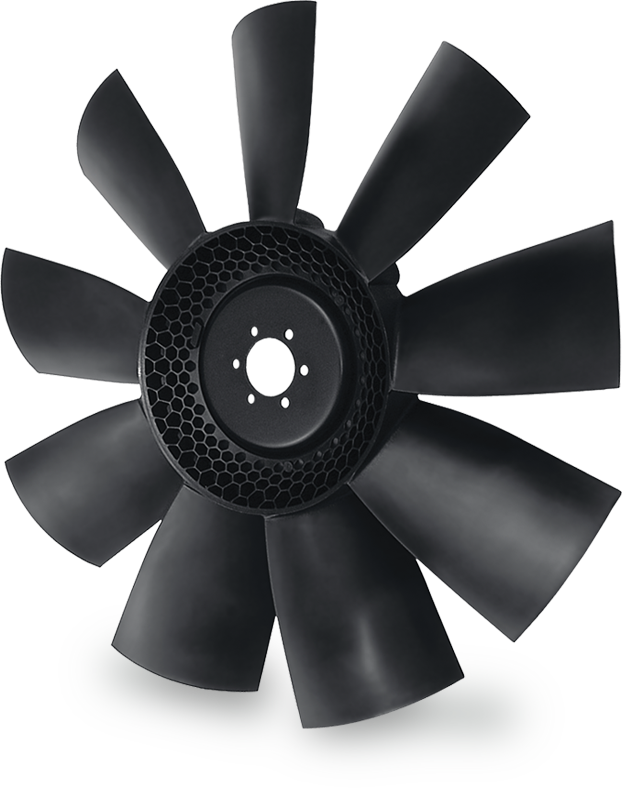 The result is a keen understanding of your cooling needs and development of optimized solutions. The specialized needs of our customers, both large and small sized companies, have often been the catalyst for Horton’s engine cooling innovations and leadership. Horton employs one of the engine cooling industry's largest teams of engineers, designers and technicians. 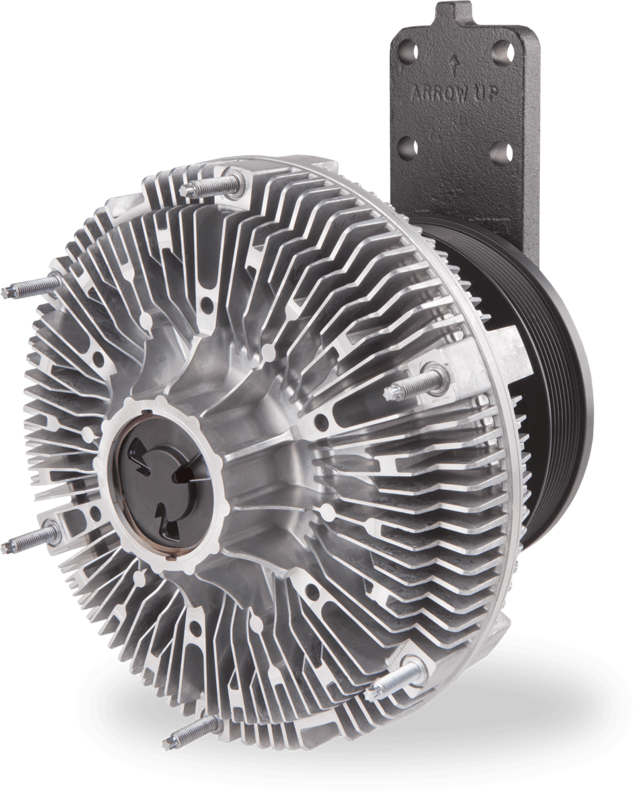 And it’s not about just customizing one component…rather we can customize the entire solution for you, with the right fan, drive, bracket, hub and more. 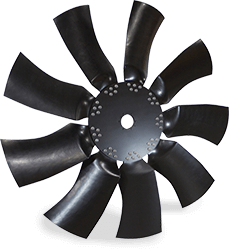 Horton products have a record of proven performance and durability — and that gives current and prospective customers, confidence. That reputation is founded on astute design, systemized manufacturing and robust testing in the lab and more importantly, in the field. Horton uses the latest software, simulation design tools and manufacturing methods, supplemented by extensive in-house testing resources to provide the best products. In a world where uptime is critical, we keep you moving. Horton has state-of-the-art R&D and tech centers that provide the foundation for designs that offer durability and performance, even in the harshest environments. 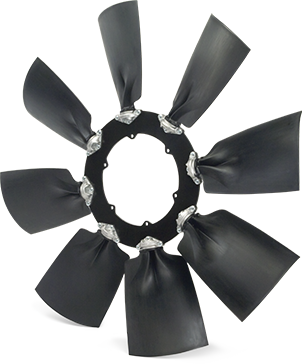 These designs are initially validated using load and duty cycle data, virtual wind tunnel simulations and computational fluid dynamics. Following rigorous design development, Horton optimizes the designs using the industry’s most advanced cooling system simulator. The designs are also tested in an acoustically-treated reverberant-room. This robust process allows the engineers to fully understand the complete cooling system’s in-depth operation and performance. We know surprises cost money so we prove our products with a rigorous validation program. Products are subjected to vibration durability and strain testing using our hydrodynamic shaker system. Other testing includes thermal shock, accelerated life, advanced wind tunnel and dynamometer. Finally, products are tested on real applications in the field. Despite its growth and global expansion, Horton has not lost its personal touch and customer-first orientation. These qualities are why customers keep coming back to Horton: questions are answered, technical challenges solved, emergencies mitigated and promises kept. Horton has an agile team of sales and service representatives and one of the best-trained, distributor and dealer networks, worldwide. Horton understands time is money-especially when one or more of the fleet is not operational or a machine is out of service. We take your business seriously — like we do our own — and we know support is critical. Ready to Talk to Horton? We’re willing to go where you need us, to help you develop engine cooling solutions that are right for you and your application. Horton's pioneering engine-cooling technology keeps your vehicles on the road. And we have the support network to help you anywhere, anytime. 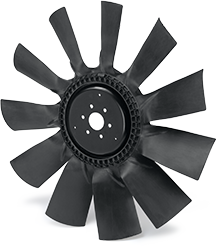 With the industry's largest fan and fan drive portfolio, Horton solutions provide efficient and precision cooling for even the toughest applications.